Arrival at Queen Alia International Airport, you will be transferred to Amman for dinner and an overnight stay. 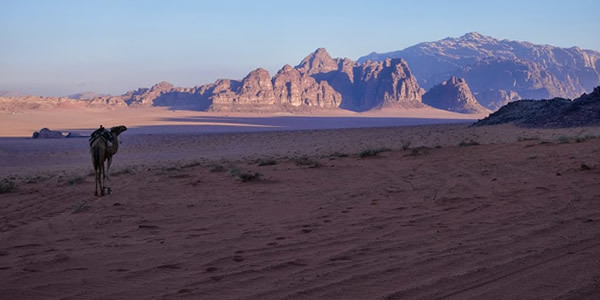 Pick up by jeep car, and depart to visit desert castles you will visit Qasr Mushatta Qasr al hallabat, Qasr Tuba, Qasr Amra, continue to Azraq and then back to the hotel in Madaba for dinner and an overnight stay. Transfer to Madaba where you will visit St. Georges’ church (Greek Orthodox church in which the ground is covered with the famous mosaic map of Jerusalem and other holy sites dating from the sixth century AD) and the Church of the Apostles, where you will find also mosaic masterpieces. Then, you will discover Mount Nebo, the place where Moses climbed to see the Promised Land. A small church was built to commemorate the death of Moses. 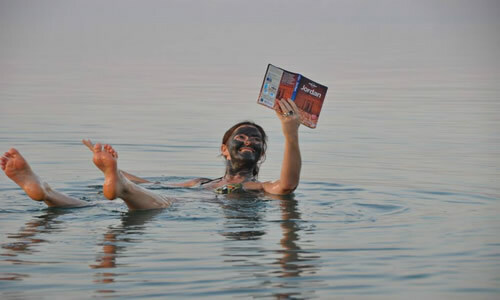 Then transfer to Dead Sea to see nice panorama view. Enjoy time swimming, relaxing the gently lapping waters. 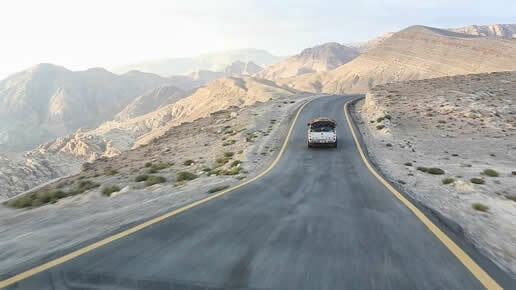 Travel by jeep cars to Wadi Al Mujib and then to Karak for dinner and overnight stay. You will visit Karak Castle, then departure for Wadi Ibn Hammad, Dana - to see the beautiful view of Dana, then continue to Shobak Castle visiting. 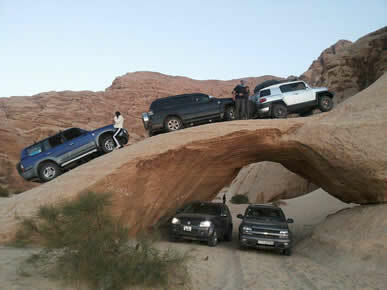 You will continue by jeep cars to do down through Al Hisah road to Little Petra for dinner and camping. 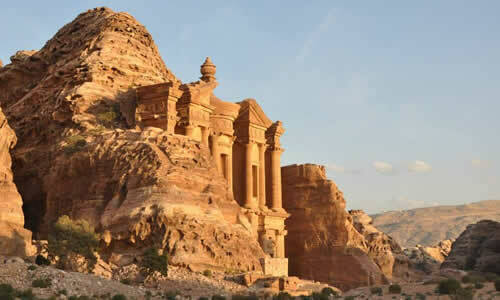 You will visit Little Petra after then you will discover Petra the rose-red city of the Nabateans, treasury, monastery, royal tombs, museums, high place of sacrifice… then return to the hotel for dinner and an overnight stay. 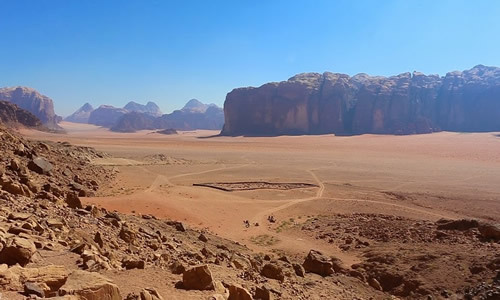 Transfer to Wadi Rum to experience the desert life, you will visit Lawrence Spring , AlKhazali, Umm Fruth , Lawrence House, Sand Dune, Burdah Mountain, Anfaishiyya Inscription, dinner and night in Bedouin camp. 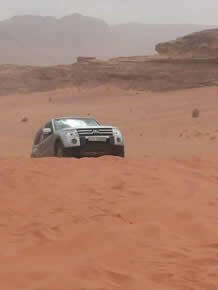 Cross the desert from Wadi Rum to Aqaba. 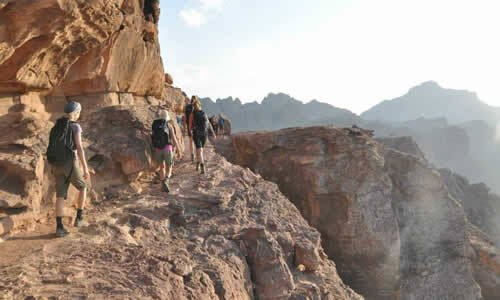 Free time, you will enjoy red sea: experiencing snorkeling, glass bottom boat, and after if you want shopping. 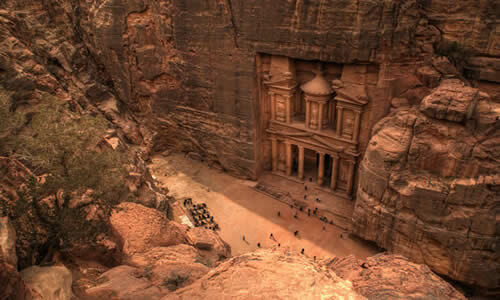 Drive from Aqaba to Amman where you will dinner and overnight stay. Transfer to Queen Alia International Airport.